Homemade taco seasoning mix can be used in place of the more expensive pre-packaged taco seasoning mix at the store. Blend together spices out of your own kitchen to create your own homemade taco seasoning mix. 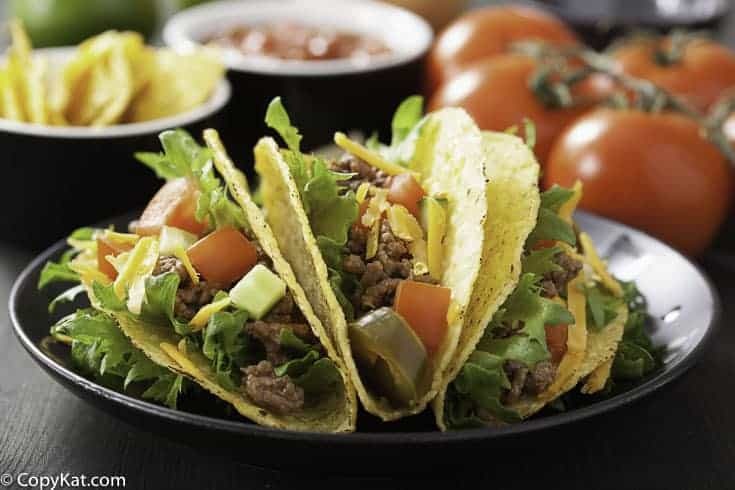 You can save money by making your own homemade taco seasoning mix and its just as tasty as what you buy in the packaged taco seasoning mix. Homemade taco seasoning mix is very easy to make, as all you need to do is measure out a few ingredients that you already have in your pantry. Why not save money and make your own homemade taco seasoning mix? I have been making this mix for almost 15 years. It is easy to do, and I always have these ingredients on hand. If you like a little variety you can add or subtract ingredients. For example, sometimes I add oregano or even a little chipotle powder. Who doesn’t love it when they can save some money? 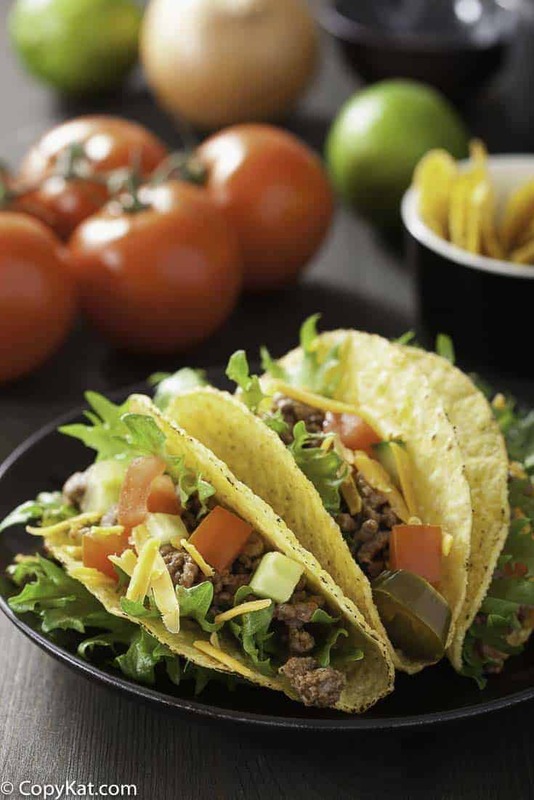 What I really love about this recipe is that if you are in are on a low-sodium diet this taco seasoning is perfect for you, as it has no salt in the mix. I know a lot of people are looking for low salt alternatives and this one works well. I hate having salt predetermined for you, I always would prefer to add in salt myself. Why make homemade taco seasoning? It’s easy to do, and I bet you already have everything you need to make this taco seasoning in your pantry. By making mixes at home, you save yourself from too much salt, preservatives, and hopefully, you can save a few dollars over time as well. If you like your mix spicier, or even smokey, you have the option to customize your personal spice blend the way you enjoy. Save money and make a salt free, gluten free, taco seasoning mix. Combine all ingredients together, and mix well. This should be stored in an airtight container for up to six months. Use 3 tablespoons of mix and add 3/4 cup of water, to one pound of ground beef. Is this hot? Used another at home recipe and it was too spicy hot for my children. Can you please let us know what the nutritional information is for the Taco Seasoning Mix—-especially—is there any sodium content in it? Thank you very much. This recipe contains no salt. There is no table salt added, but, it is not sodium free. When I searched for each ingredient, I was surprised, except for oregano, by the amount of sodium in each one with chili powder being the highest. It’s 3/4 cup of water, not one. Otherwise good spices. I added MSG to this mix. We use a lot of it at home in lieu of salt because it contains 1/3 less sodium. A healthy alternative for the majority of folks that have no medical issues with MSG. A lot of people don’t like to use MSG. I know it makes things taste a lot better though. I have found, as you must have, that if something is repeated enough times, it then becomes gospel but with no basis. I saw it on the internet, so it must be true kind of thing. That is what has happened to MSG over these many years. For whatever reason MSG became an underground, not to be spoken of in mixed company item. There are a small majority of people that do get headaches from it. I have never met them but I do know that they are out there. Their complaint is genuine and they never order take-out from China Garden etc. It is a food enhancer of which there are few equals and it is healthier than using straight salt. Maybe some of your many followers will respond to their reasons for not using MSG, other than medical reasons. I would be very interested in the other side of the coin on this issue. We love MSG and use it almost daily. MSG, or monosodium glutamate is a natural product originally extracted from seaweed. Its primary component is glutamate, sodium (salt) was added as a preservative shortly after its discovery in the early 20th century in Japan. Today it is made from yeast. Glutamate is a taste often called Umami and is found mostly in meat. Today package ingredients call it Yeast Extract or Autolyzed Yeast Extract so they don’t have to use MSG in their packaging. It’s not some chemical mixture from a secret lab with mad scientists. I think this “Ingredients you can pronounce” trend is damaging the food industry, although I agree manufacturers have gone overboard with some of the stuff they put in food. Thanks so much! I just made this and it was fabulous. It will save money and it’s healthier too. I hate buying processed mixes. Yummy and convenient. Didn’t have the ceyanne pepper but threw in some hot sauce and it was great. Thanks again! Thank you Lisa. This is one of my favorite ways to make taco seasoning, its quick, easy, and chances are you already have what you need in the pantry. I love that it is salt free!!! Thanks for your comment. I know a lot of us are watching our salt intake. Me too! I think that is one of the biggest benefits of making your own taco seasoning mix. No salt. It is not salt-free. Personally, I’d leave out the chili powder. That ingredient has 131mg of sodium. But, it isn’t fair to judge if I have not tried it yet and I haven’t. If one is really watching their salt intake closely though, it is worth a try to leave that one ingredient out. Great videos! I will be making these for dinner tonight, No more packets for us thanks for the ratios on ingridients. Why is it refrigerated? The spices don’t need refrigeration do they? I have no idea why I said that 😉 I’ll try to edit that out of my vocal if possible. I have been wanting the recipe but have been to lazy to look it up! 🙂 THANK YOU! Thanks for the recipe, because I am allergic to MSG, there are very few packaged items I can use so I always appreciate someone sharing recipies for MSG free, the label has to actually say NO MSG. That is one of the things I like most about making mixes from scratch it is easy to edit out ingredients you don’t want to put in. I can understand how you feel about MSG. Thanks for this! These are spices I have in my pantry and I can’t believe I haven’t made my own blend! Thanks for this! I like it because we are a low sodium family and do as much as I can, homemade. Check out the sodium levels in that prepackaged stuff! This looks great, however “expensive” isn’t probaby the words I would use to describe taco seasoning mix.. You can get it for like. 60 cents to free with coupons and deals. I would like to try my own however.. thanks for the ideas! Thanks, that’s a very interesting idea, I honestly never thought of trying to make my own. I always just buy the packets. I look forward to tweaking it for more and less spice.